Like all urban centers, Lokeren faces the challenges of crime, vandalism and antisocial behavior in its streets, public buildings and open areas. Until recently, the municipal police force relied on analog security cameras to assist with detecting and responding promptly to incidents. However, these cameras’ limited resolution and image quality often prevented efforts to prosecute individuals as they could not be successfully identified. 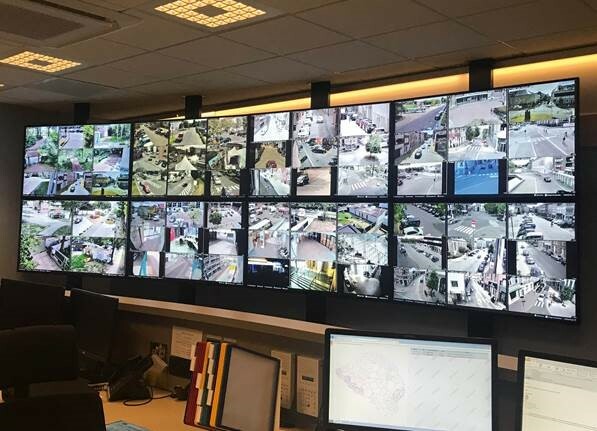 In response to requests from citizens to maximize their safety, Lokeren police chiefs and city politicians pledged to upgrade their video surveillance capabilities. In particular, the urgent need was identified to improve the accurate recognition of suspects caught on camera – an even greater challenge at night or on dull, poorly-lit days. Security specialists DS-Consulting therefore recommended upgrading Lokeren’s video security to a combination of Full HD and 4K network surveillance cameras. A competitive comparison by DS-Consulting saw Sony’s outdoor minidome and fixed box-type cameras compare favorably with other brands. In particular, the rugged SNC-VM772R 4K minidome camera delivered significantly better images in tough low-light conditions. The camera’s large-sized Exmor R™ CMOS image sensor allows it to capture more light than ordinary sensors. This allows it to ‘see’ suspicious activity clearly in conditions of almost complete darkness, where less sensitive cameras struggle. Installed by Belgian integrator Seris Technology, the complete surveillance solution features a video management platform by Genetec Security Center plus 120 strategically located Sony cameras, providing 24/7 coverage of city center streets as well as public buildings including Lokeren’s police station, central library and city hall. The new cameras give police a clearer picture of criminal activity in the city streets, assisting with the positive identification of suspicious persons even at night and in low light conditions. Round-the-clock video footage is routed via an optical fiber network, where images are monitored in the central dispatch office at police headquarters. Since the cameras’ installation, city police has seen a reduction in crime levels, accompanied by greater peace of mind for residents and visitors.